“65 Mustangs” Pick Your Spots, 2018 – Spot Starting Guide for WEEK 14 – We Are Half Way There!! We are half way through the season and I am starting to feel the grind of daily lineup changes and scouring the wire for spotters and other pieces to get me through the season. Trade offers are starting to roll in and the annual buy low/sell high sweepstakes are in full swing. I’m also into the daily grind of weeding and watering the vegetable garden and the Groundhog is still on the loose. He must be hungry as I have barricaded my plants this time around like I’m digging in for a war. My neighbor set the trap, but all he caught so far was a very angry opossum. Poor thing never at one of my plants so we let him go peacefully once he calmed down. The half way point is a good time to look back over the season at some of the moves I made. I look at not just the mistakes, but the players I hit the nail on head with early on that are helping me still. One in particular that stands out is Patrick Corbin of the D’backs. He was the star of my April articles, and I picked him up on all my teams. By May 1 he was universally owned so I had to stop writing about him in this series. I boldly predicted he would end the season in the Cy Young conversation. His Kershaw-esque April couldn’t last, so he had a bit of a correction coming, and it did, but he has rebounded nicely to end the first half 6-3 with a 3.14 ERA and .99 WHIP. He also has 134 strikeouts in 106 innings putting him on pace for 268 K’s for the season. He may not win the Cy Young, especially with the lack of run support the snakes are giving him, but if he K’s over 250 with a WHIP under one he’ll be in the conversation at least. He is a player I was high on in the pre-season, and some of my colleagues think I was high at the time when I was writing about him. No, he is not the next Kershaw by any means, but he looks like a 200 inning strikeout machine this season. His wife likes the view from the top, and we both hope he stays there. We did have a good week so far in Week 13 (I have three more starts today from that article to go) going 13-6 as far as good value starts vs clunkers. That run included 4 W’s, 7 QS, and 100 K’s in 98 IP. Included were a 10 strikeout zero run gem W from Freddie Peralta and a 12 strikeout 1 run gem from Tyler Mahle. Let’s pick some spotters for next week. WEEK 13 TRIVIA QUESTION: What AL East SP is back from his 2nd go-round of Tommy John surgery, and has 2 fantasy must starts next week including a date back in the town he suffered his last elbow tear. He pitched six scoreless last week against the Nats. Answer below. Felix Hernandez, RHSP, SEA (47.9% owned in ESPN) Vs COL SAT: After a decent run of four straight starts in which he has a pair of wins and a pair of QS, Felix ownership jumped up 10 points to 48%, meaning I can list him in my article still. I doubt you need me to tell you that he was dropped in quite a few leagues this season, including my own. But, think about it. Would you rather trust a former ace who is 48% owned for a fantasy must-start, or an unproven rookie ready for a correction? Give me the King and I’ll give him the ball. In five of his last six starts, he gave up no more than one walk, and in three he only gave up one run, including starts against the Red Sox and Yankees. His velocity is down a few ticks from his hey-day, but we are not looking to get re-married here. He gets a fantasy Must-Start next week when he faces the Rockies at home in Seattle. Felix is pitching to an ERA under 4.00 at home this season with 49 K’s in 54 IP. Add to this that Rockies are one of the worst teams in baseball on the road vs righties, hitting to the tune of a .286 wOBA and .222 BA. ***TWO-START PITCHER***Kyle Freeland, LHSP, COL (43.6% owned in ESPN) Vs SFG MON & @ SEA SUN: Another Quality Start, another week with two fantasy friendly matches coming up, and another week under 50% owned. Bring It! Freeland has pitched a quality start in all but one start since April. Yeah, that includes all his starts in Colorado as well. Go ahead, leave him on the wire. As long as he is 50% owned or less I’ll be spotting him and writing about him, even at Coors Field where he seems unaffected by the altitude. He has walked one or fewer batters in seven of his past eleven starts, and that will keep you fairly safe even in the thin air of Colorado. The Giants had a .325 wOBA against lefties at home with a .270 BA until running into Freeman last week where he shut them out for seven innings, giving up four hits and one walk. He gets a rematch with those same Giants on Monday, this time at home in Colorado where they are hitting to a wOBA of .293 with a .228 BA against lefties on the road. Then he goes to Seattle where they are batting to a .307 wOBA and .253 BA & .159 ISO against lefties at home. Hopefully his only walks in that game will be intentional ones to the red hot Nelson Cruz. Joe Musgrove, RHSP, PIT (22.7% owned in ESPN) @ LAD WED: The Dodgers are one of the worst teams in baseball against righties at home with a .302 wOBA and .231 average against. After he came off the DL in late May, Musgrove tossed four pretty good games, three of them qualifying as Quality Starts, but his next two games were clunkers, going only four innings in each and giving up a total of 11 runs to the Reds and Diamondbacks in two losses. But he rebounded nicely for me last week, tossing seven shutout innings in his start against the Padres, a start I said I was “drooling over” last week. this one won’t be quite as easy but Musgrove should continue to give us QS next week and is only owned in 22% of ESPN leagues. Ivan Nova, RHSP, PIT (12.8% owned in ESPN) @ LAD TUE: Like his team-mate above, Nova gets the Dodgers in LA on Tuesday. Nova got off to a bit of a late/bad start to 2018, but has pitched a QS in five of his last six starts. This should be another one. ***Two Start Pitcher***Zack Wheeler, RHSP, NYM (10.5% owned in ESPN) @ TOR TUE & Vs TB SUN: Wheeler started the season on the wrong foot, acting out when the Mets decided to sign Jason Vargas and give him his spot in the rotation. The Mets ended up sending him to the minors and it seemed to humble the kid a bit. His pitching has gradually improved since being called back up to replace the injured Vargas. In his last start, Wheeler was dominant. He did not allow an extra-base hit and induced 22 swinging strikes while throwing 75 strikes out of 105 pitches on the night. It was his fourth quality start in six starts in June. The Jays are hitting pretty well on the season against righties at home, hitting to a wOBA of .334 with a .251 batting average, but over the past two weeks they are averaging less than four runs per game. Tampa, on the other hand, is hitting to a woeful wOBA of .293 with a .237 batting average against righties on the road. He needs to keep pitching well if he wants to keep his girlfriend, Instagram sensation Dominique Rizzo, seen here trying to keep Zack off the basketball court. He is a Met after all and freak injuries should not be invited to say the least. Jeremy Hellickson, RHSP WAS (20.4% owned in ESPN) @ Vs MIA THU: The Marlins are batting to a wOBA of .292 with a .232 BA against righties on the road. He has a good offense behind him and appears healthy now, so in a good match up like the one against the Fish he is a good spotting option. He’s got a sterling 2.63 ERA and has displayed much improved control and command (7.1 K/9, 1.5 BB/9). I’ve used him before in fantasy spots and I’ll watch for him to have match-ups like this going forward as always. He’ll never be an ace but you can count on him to not kill your ratios in a good match up. ***Two Start Pitcher***Nathan Eovaldi, RHSP, TB (10.0% owned in ESPN) @ MIA MON & @ NYM SUN: Trivia Question Answer. Nathan Eovaldi was just coming into his own with the Yankees when he blew out his elbow and needed Tommy John surgery almost two years ago. It was his 2nd time getting the procedure, a feat not accomplished by many pitchers. He seems to be picking up where he left off and won’t stay at 10% owned if that is the case. After a couple of bumpy starts he shut out the Nationals last week for six innings of one run ball with nine K’s and a couple of walks for a Win. Next week he gets two fantasy Must-Starts. First he has a date with the Marlins in Miami where they have a wOBA at home vs righties of .293 with a .246 batting average. Then he goes back to NY to face the Mets where they have a .291 wOBA and .223 BA at home vs righties. Get yours while they last. His wife is really glad he has healed enough to play again as him hanging around the house was driving her nuts. Max Fried, LHSP, ATL (.7% owned in ESPN Leagues) @ MIL THU: The Brewers are hitting to a wOBA at hove against lefties of .281 with a .197 batting average against. Yes, we are digging deep here but Fried has looked good so far and the Brewers make for a good lefty match up. He got a win yesterday going 6.2 scoreless innings, striking out 11 and giving up four hits and three walks against the Cardinals. The 24-year-old lefty has a 2.55 ERA in six appearances (two starts) with Atlanta in 2018, also churning out a 9.1 K/9 (11 in his last start) and 3.4 BB/9. He was a first round pick for the Braves just a few years ago. Anthony Desclafini, RHSP CIN (9.2% owned in ESPN) Vs CWS TUE: The Chisox are hitting to a wOBA of .294 with a .224 BA against righties on the road in 2018. Also look at his teammate Sal Romano who is only 2.6 % owned in ESPN Leagues and has the same match up the next day. Both have been pitching fairly well lately. ***Two Start Pitcher***Clayton Richard, LHSP, SD (42.2% owned in ESPN) @ OAK TUE & @ AZ SUN: Oakland is hitting to a 28th in the MLB wOBA of .274 with a .211 BA against lefties at home. Arizona will not be as easy, and if you can skip that one you might be better off. Zona is hitting to a .338 wOBA and .259 BA at home vs lefties. Richard does have a Quality Start in 8 of his last 10 starts in what is shaping up to be a career year for the lefty. Eric Lauer, LHSP, SD (5.1% owned in ESPN) @ OAK WED: Like his team-mate above, the lefty goes to Oakland on Wednesday. Oakland is hitting to a 28th in the MLB wOBA of .274 with a .211 BA against lefties at home. Lauer has given up 3 runs or less in seven of his last last eight starts. He does not always go six innings, so you may not get the QS or win your K’s for the week, but Lauer is a nice fill in if you need someone not to blow up your ratios. Thanks for reading. Good luck this week Picking Your Spots. 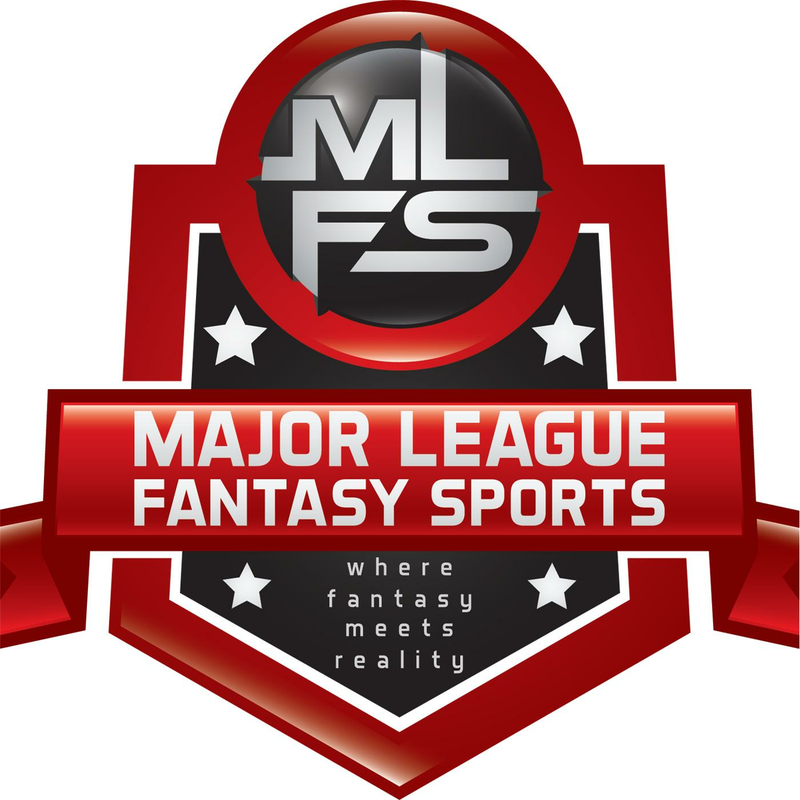 Until next week, I’ll be on the Reddit r/fantasybaseball Sub all day Sunday talking spot starts and all things fantasy.